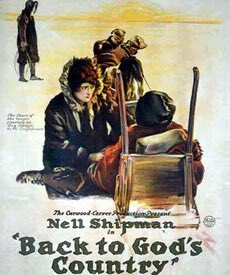 William and Alexander give their talky treatment to Back to God's Country, the 1919 silent movie starring Nell Shipman and an assortment of animals. Join us on a journey back to the wilderness and filmmaking attitudes of nearly 100 years ago. Pit stops in Victoria, BC and Cabazon, CA. Stay in touch with us between episodes via Facebook.